I’m writing this on the eve of my departure for the USA and excited at the prospect of a 27 date Alarm tour stretching out across the summer months. It’s been an overwhelming last few weeks with the release of Equals exceeding all our hopes and expectation, and so I have to say a huge THANKS to all who have invested in a copy and taken the time to share their positive thoughts and feelings online and through the grapevine. It’s so inspiring to have a record out there, that fans and critics alike, are saying positive things about. The press reviews have been exceptional and the messages on Twitter, Facebook and Instagram are all playing a part in changing the landscape and outlook for our group. Radio in the US is embracing the song ‘Beautiful’ which can be heard over the airwaves in any number of cities across the continent and with the tour getting underway, I will be leading the band into all manner of radio and TV stations for interviews and performance sessions……. so stay tuned here for updates as they are released throughout the tour. Lots of fans are saying this is the best Alarm record since Declaration / Strength so if you haven’t heard Equals yet make sure you investigate what everyone else is getting into….. especially before we descend on you and your town! Tour Dates in Asbury Park, New Jersey and Pawling, New York have already SOLD OUT and other shows in Minneapolis, MN, Bayshore, Long Island, NY, Clearwater, FL and Solano Beach, CA are all close to capacity so don’t hesitate in getting your advance tickets!!! The shows are going to be intense believe you me, with lots of new Equals music and a healthy selection of the classics – some of which have become more relevant than ever! As a result, new music is pouring out of me at this time, and I’m writing lots of new songs on an almost daily basis. The fact that I have been untethered from hospital treatments has created a rush of new energy that is pushing me deeper and deeper into creativity, so much so, that I’m sure the release of Equals will come to be viewed as the start of a new Alarm era with harmonious potential for a long and creative future! You’ve heard it here…. 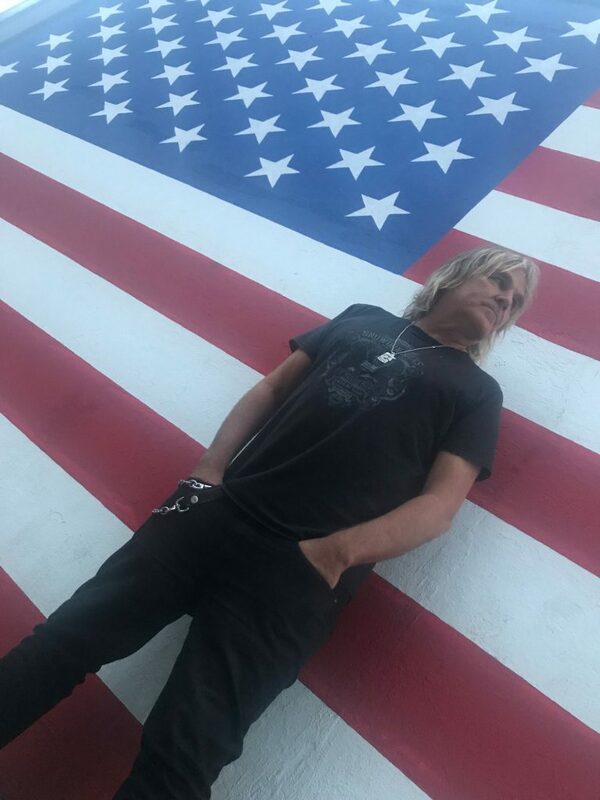 The Alarm is coming to a town near you very soon….. Equals is in the charts and in the stores and there are lots more shows to be announced very soon …. both at home and abroad….. I look forward to seeing you out there…. where the two rivers meet!! Show Your Colours This Summer!! !